Can a Felon Get a Liquor License? Release from prison is only the first of many challenges for felons, but there are resources available for those that may not believe they can get a job. Those who have hired felons have discovered that they make good employees. Felons with previous experience in the food and drink industry may think of a career there. 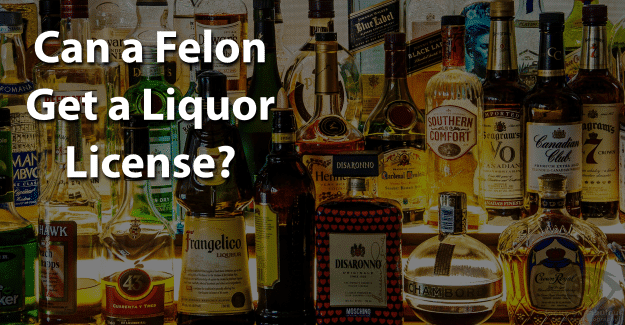 This blog post will address the issue of whether or not a felon can get a liquor license. A liquor license is a permit to sell or serve alcohol in a public place. Approval for a liquor license is determined at the local level. In some states, the county approves a license; in others, a city decides. Tavern – Some states require taverns to offer a food menu, but others don’t. If a tavern serves food but half of sales are alcohol, a tavern license may be necessary. Beer and wine – This license allows only beer and wine sales. Restaurant – This license usually requires that only a certain percentage of sales, usually about 40% come from alcohol. A restaurant license usually allows serving beer, wine, and liquor. Club – Private clubs, such as country clubs and golf clubs, may have a separate license to serve alcohol to members. The majority of businesses need some type of license and permit from federal and state agencies. Those required depend on the type of business, location, and laws in that state. A federal license is necessary for any business with activities regulated by a federal agency like businesses in agriculture, alcohol, and firearms. A state license depends on the type of business and location, which may include construction, restaurants, and some retail operations. Contacting the state in which a felon will reside and operate a business is recommended to understand particular licensing requirements. It is essential to maintain any required license to avoid penalties and protect the business. Not having a license can result penalties and even having the business closed. A felony will typically not prevent someone from obtaining a business or liquor license. Most applications will ask the applicant to provide details and an explanation related to any criminal conviction. The licensing authority will then investigate the offense and decide whether to issue the alcohol license or not. A person with a felony conviction must meet the requirements in order to qualify for a liquor license. This section requires a person to be of good moral character, a qualified legal voter, and a taxpayer. Although licensing requirements differ from one city to another, most require a criminal background check of the applicant. Most applicants must also pass a “moral character” test before being approved for a license. Many applications ask whether someone has been convicted of a felony, a crime of “moral turpitude,” or crimes such as gambling. Although DUI is not typically specified on an application, if the DUI was a felony, it may prevent approval. No person may be granted a license if he or she has previously had a license revoked, or has been convicted of a law relating to the manufacture or sale of intoxicating liquor. An applicant must submit an application for a liquor license, which will be reviewed by the state supervisor. In most jurisdictions, an applicant for a liquor license must be at least 21 years old. If a felon applies to obtain an alcohol license, he or she needs to be honest in reporting any conviction. A felony that isn’t disclosed but is discovered on a background check is fraud, punishable by possibly being sent back to prison. Felons have enough of a challenge, typically being seen as dishonest, untrustworthy, and unwilling or unable to follow directions from authority figures. Also, a felon should contact an attorney for appropriate legal advice. Having his or her record expunged can give him or her a clear record and the chance he or she needs to succeed in getting a liquor license. Expunging a criminal record allows anyone to honestly state on an application that he or she has not been convicted of a crime. It is quite challenging, but it could be worth it for a felon wanting to obtain a liquor license. Giving him or herself the best chance for success by having his or her record expunged could make the critical difference. Having support from family, friends, or even previous employers is essential. Felons don’t have to be defined by their crime. We are not defined by our mistakes but by how we recover from them. They can begin again and live an honest life no matter how challenging it might seem. Families of felons are usually very invested in helping their loved one get a liquor license. They should stand by their loved one, encourage them, and help them do what it takes to seek approval for a liquor license. This can be a frustrating, discouraging process to go through. Having a liquor license will require living an honest life. What do you think about this blog post? Have you or someone you know been in the situation of trying to get a liquor license with a felony? What was that like for him or her, and how did he or she achieve success? Please tell us in the comments below.